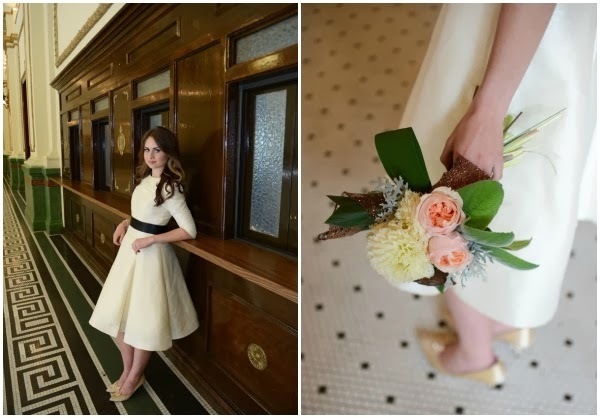 We’re so inspired by this gorgeous vintage session by Anna Gleave Photography. I know this shoot was made for a fall wedding but I can’t help but crave a french city hall wedding right now. The bride is stunning in her beautiful Besty Barker gown and the details are swoon worthy to say the least. Everything is jazzed up with a hint of sparkle. C’est parfait! 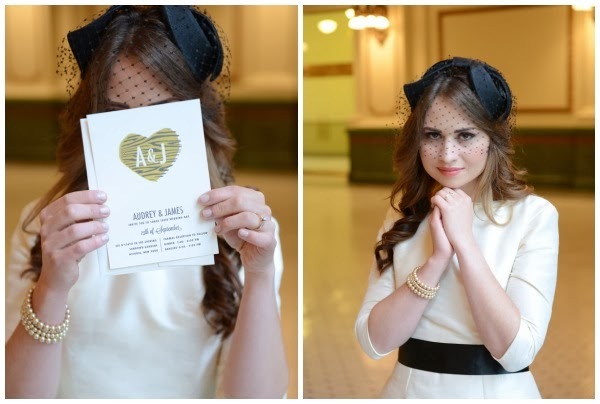 I was inspired by the gorgeous and modern Silk & Coal invitation design; after glancing at it once, I knew I had to use it for my inspiration for a shoot! 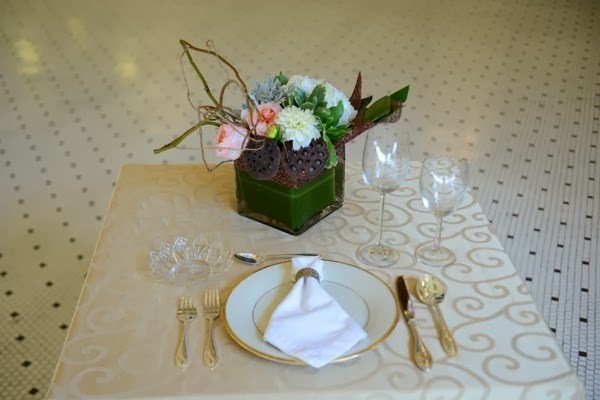 I love how trendy gold is right now, but I wanted to take a different approach on this trend! 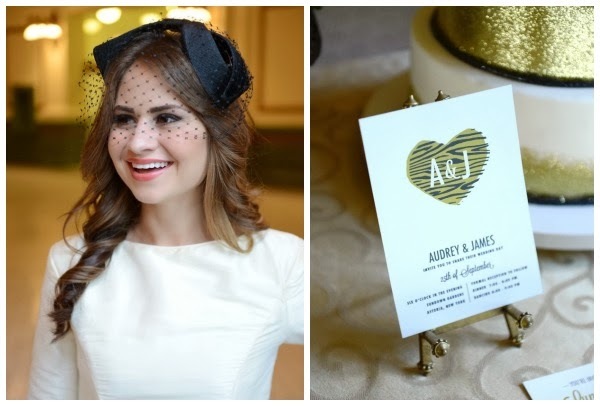 I pulled the charcoal and gold from the invitations and decided to blend modern and funky flair with clean lines and vintage vibes. I wanted the entire shoot to be something entirely unique and something that easily inspired fall brides, so I knew I had to contact the talented Betsy Barker for the gown. I decided to feature Betsy’s one-of-a-kind “Audrey” gown because of it’s flawless design, gold tint, and incredible gold buttons. 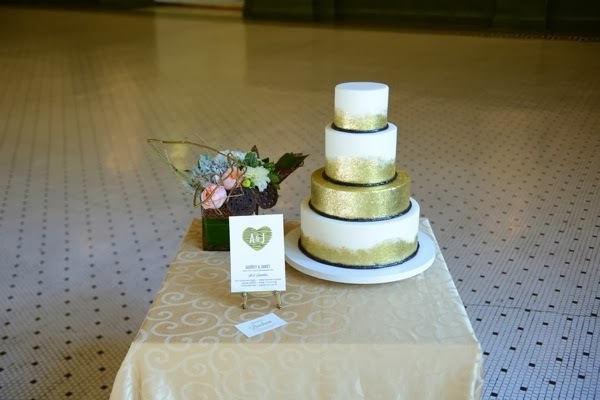 We shot at Union Station in Salt Lake City to play up the vintage piece of the shoot, and tied in the modern with the gold painted cake from Salt Cake City and funky florals by Every Blooming Thing. 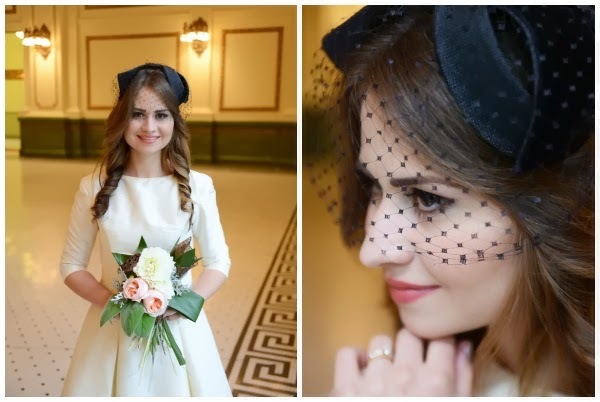 Littered with beautiful vintage details (that veil!!!) 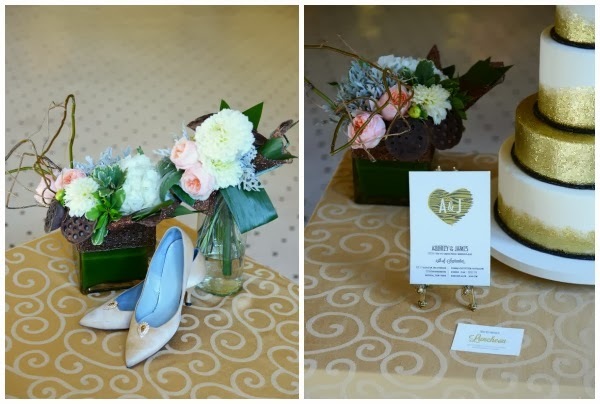 and tied together with a modern feel, this shoot pulled together in the most uniquely beautiful way! love this so much! you make my photos look so beautiful. thanks so much for the feature! XO. This is so stunning – every detail is perfect and set off perfectly by that location, and the lovely photography! 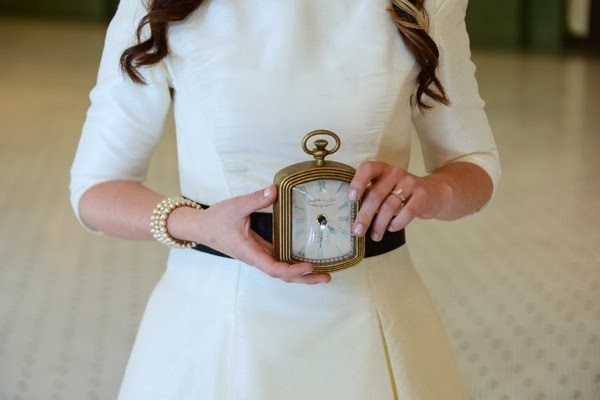 Thank you for featuring this beautifully classic vintage wedding shoot! 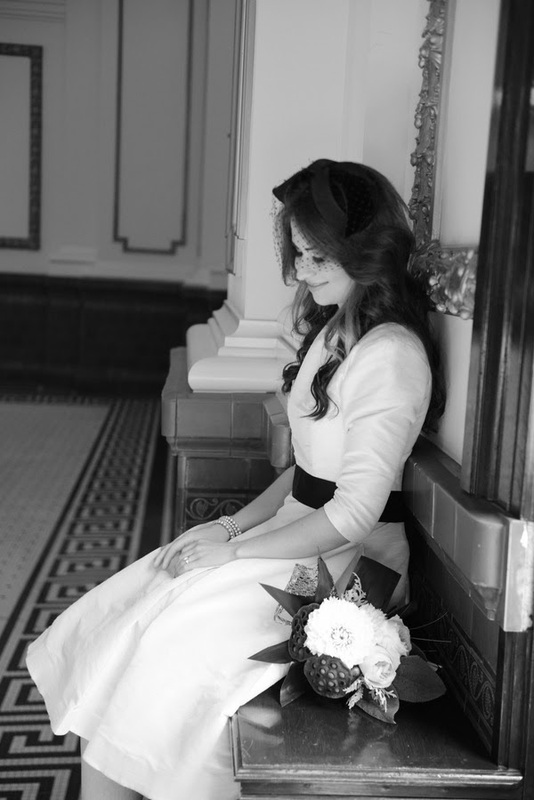 I love Anna Gleave’s photography, and was thrilled that she choose to use my Audrey gown. Fantastic feature! for an interesting follow up piece!